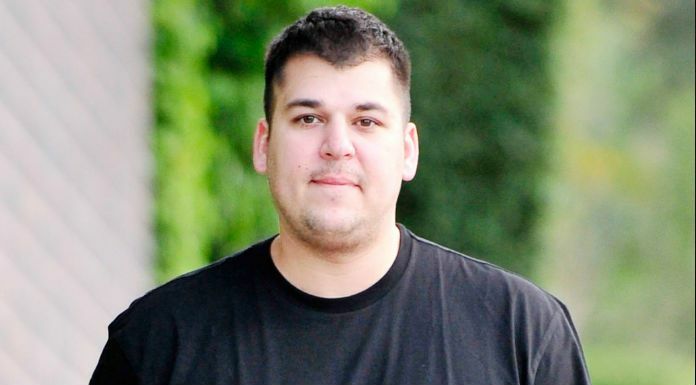 Rob Kardashian is an American reality star, socialite, fashion designer, and businessman. He got to fame with his appearance in the family reality show with her sisters and mother, called Keeping Up with the Kardashians. This was the show that demonstrates the daily activities of the Kardashians family. With its huge success, it leads to the spin-off series that were equally popular. His on-and-off relationship with American glamour model Blac Chyna has kept the tabloids bust that time. Rob was one of the final judges of Miss USA 2012. In 2012, he appeared in Fox’s dating game show, called The Choice. He runs his own line of socks called Arthur George the same year. Rob was born on the 17th of March 1987, in Los Angeles, California, United States of America. He is currently 32 years old. He attended University of Southern California’s Marshall School of Business and graduated in 2009. Rob Kardashian is currently in a relationship with reality star Mehgan James. They both started dating each other in 2017 with their love for each other going strong since then. Rob has dated many women throughout his life, including actress Adrienne Bailon from 2007 until 2009. He then dated singer Rita Ora from 2011 to 2012. In 2016, he developed a relationship with glamour model Blac Chyna which ultimately ended in their engagement in April that year. The couple welcomed their first child, a girl, Dream Renée Kardashian, was born on November 10, 2016. They ended their relationship in May 2017. His earlier relationships include model Kara Monaco, p*rn star, Lisa Ann, TV personality Malika Haqq, and model Jasmine Sanders. In 2014, Rob appeared in short action film Raiding MLK released on February 1, 2014. He has been specially credited for his short appearance. In 2008, Rob appeared as himself in the TV series documentary E! True Hollywood Story as himself. It is estimated that Rob Kardashian has a net worth of $10 million, which is very less when compared to other members of the Kardashian family. While his sisters and mother have several business endeavors, he doesn’t have interest in businesses and only earns from appearances on television, endorsements, and events. He makes $11,000 per day when he is on work. He has a sock company called Arthur George, a line of designer socks manufacturer for men and some financial irons in the fire. His business gross total is $210,000, not so impressive if compared to the income of the Kardashians’. other than these he was paid around $25,000 as a judge for the show Miss U.S.A. Pageant in 2012. Rob has a large collection of luxury cars such as a Porsche Panamera, a Range Rover SUV Sport, a Mercedes-Benz G-Wagon, and a Lamborghini Aventador. Rob Kardashian has bought several real estate properties in and around California. He lives in a luxury home in Hidden Hills, California, which was gifted by his mother. He has Armenian ancestry on father’s side while on his mother’s side, he has English, and little bit of French, Scottish, German, Irish, and Dutch ancestry. Rob has his arms both filled with tattoos. Kylie Jenner is Rob’s favorite among the Kardashian-Jenner clan. Unlike his sisters, he doesn’t involve actively in business. He didn’t attend his elder sister Kim marriage with Kanye West as he was suffered from depression and weight gain. Rob has a blanket, named Kiki, which he still sleeps with. His nana made it for him. He won’t say the phrase ‘I swear’ like many of us. Instead, he says ‘Bible’. It is said that Rob makes around $11,000 per day when he’s on work.